Librarian John Wareham pulled this fascinating clip from the Star Tribune's archives -- materials for a project for another colleague, Bill Ward -- and he also shared it with me. As a kid, I was a dedicated follower of Will Jones' entertaining and sharply observant "After Last Night" column in the Minneapolis Tribune. He was the ultimate man-about-town, and in his column, which ran from 1947 to 1984, he covered an astonishingly wide range of entertainment subjects. 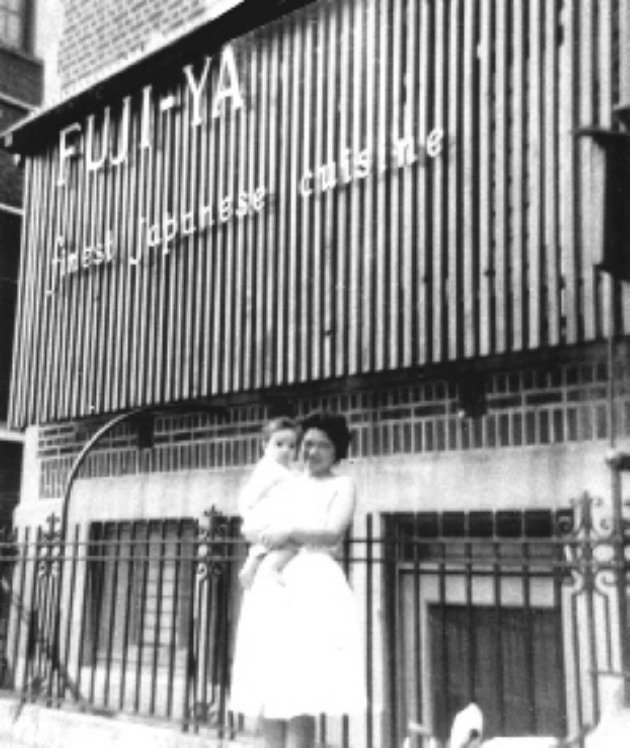 He called this Dec. 20, 1964 edition of his column "A Month of Good Eating." "Here's a list of 31 good dining-out suggestions in the Twin Cities area," he wrote. "Why 31? Because I've sometimes been caught boasting, in a Chamber-of-Commerce way, that it would be possible to take a visitor to a different place for dinner every night for a month and send him away well-fed and impressed. So this is a put-up-or-shut-up kind of deal: a concrete list of 31 places to go; a long month of good eating." Of the 31 restaurants on Jones’ "guide to gastronomy," six impressively remain, in one form or another, a half-century later. 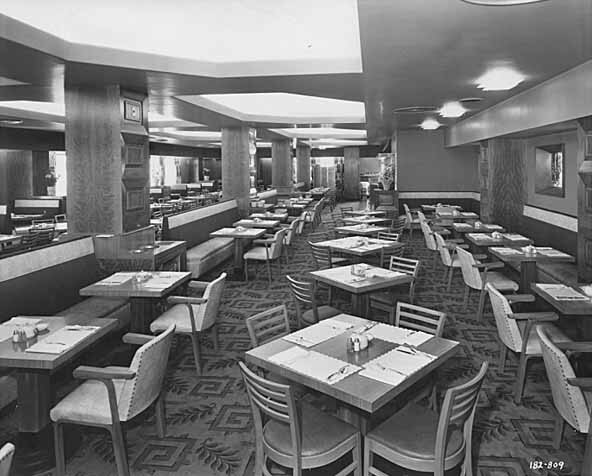 After visiting Lindey’s Prime Steak House, Jones was taken with the “beautiful and uncomplicated eating.” Note the average price for dinner: $2.85 to $4.35. 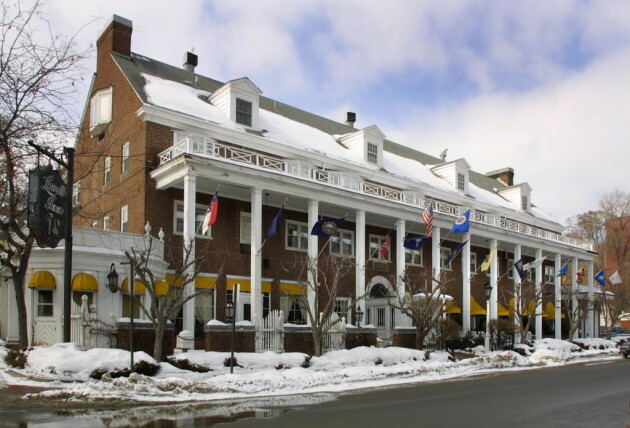 For sheer midcentury cattiness, my favorite might be his description of the Lowell Inn (pictured above in a 2001 Star Tribune file photo): “Nothing’s usual in this midwestern replica of Mt. Vernon. In the Matterhorn Room, there’s one meal and one meal alone: Dinner begins with snails and sherry, continues through a do-it-yourself salad and a sampling of white wines and then fondue Bourguignonne (chunks of cook-it-yourself tenderloin which you frazzle in hot oil) accompanied by countless choice relishes and sauces and a sampling of red wines and ends with a dessert of chilled grapes in brown-sugared sour cream. All this in an aggressively Swiss setting dominated by intricate woodcarving. “In the regular dining room, it’s more like eating in an elegant antiques shop; the table service is antique too. Maddeningly inflexible waitresses will recite the menu, or you can read it from a china plate upon which it’s inscribed. There are steaks, trout from the premises and a superb fried chicken. Assorted warm sweet breads are passed with jams and the special house chutney. It’s all presided over by the resident white-haired grande dame, Nelle Palmer, who wouldn’t be caught dead outside a Parisian gown and about three-quarters of a pound of jewelry. 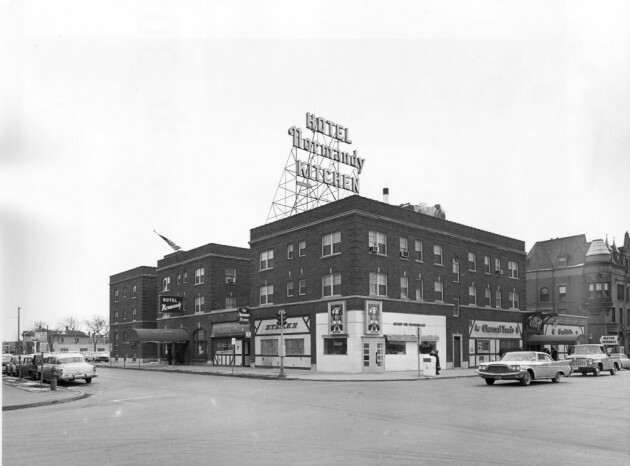 Harry’s Cafe (11th St. and Nicollet Av., Mpls., pictured above in a 1960 Star Tribune file photo): “Three floors of sustained cheerfulness mark this Minneapolis institution," Jones wrote. "There’s a long and substantial chophouse menu, and I’m afraid I’ve developed far too many favorites for my own good. It’s one of the places I think of almost automatically when I yearn for a good steamed live lobster. The English mutton chop with kidney center, the mixed grill and the prime rib sandwich are always good. So is the extra-thick broiled liver, which you can actually get rare upon demand. I’ve given up on the Harry’s Salad, which is something special, for the coleslaw, which is unique. 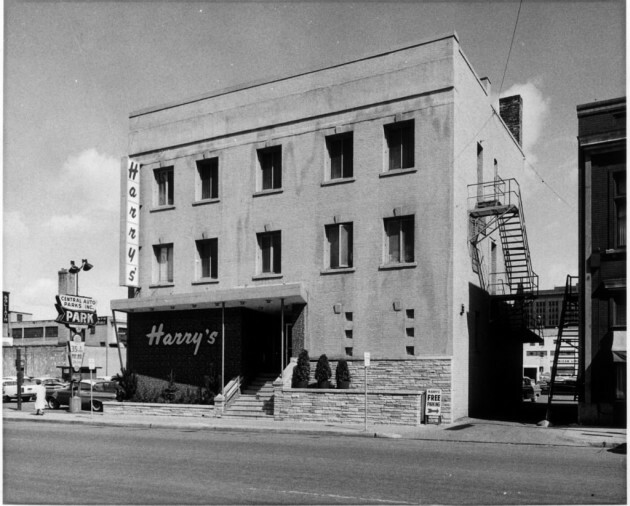 The giant Harry’s martini is the original Minnesota White Death." Jones wrote about food with some frequency. Three years prior to this edition of his column, he published a cookbook, "Wild in the Kitchen," and in 1979 he famously described the method for cooking dog, part of a Hong Kong-based series (and yes, "the leftovers went home in 'a literal doggie bag,'" noted his obituary writer, Trudi Hahn). He retired in 1984, two years after the morning Tribune and afternoon Star merged to form the Star Tribune. He died in 2004 at age 80. Kozlak's Royal Oak is saying "goodbye"